Half Girlfriend is an Indian romantic drama film based on the novel of the same name written by Chetan Bhagat.The film is directed by Mohit Suri and features Arjun Kapoor and Shraddha Kapoor in the lead roles. 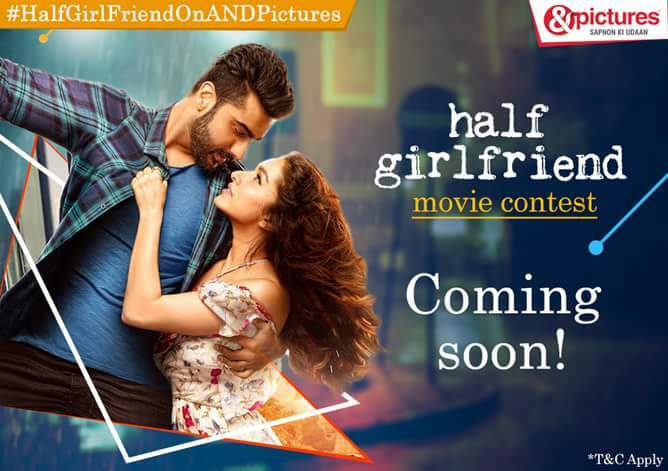 Romance ki hogi baarish in the World TV Premiere of #HalfGirlfriendOnANDPictures starring #ArjunKapoor & #ShraddhaKapoor 23 Sept at 8 PM. Madhav Jha, a student from Bihar, takes admission in a Delhi college and falls in love with Riya Somani. He coaxes her to be his girlfriend, but she isn't interested in anything more than friendship.